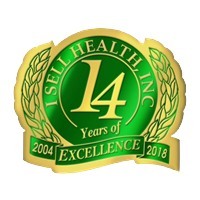 When Eric Wilson, president of I Sell Health, Inc., researched health insurance as a business he might want to try, he learned that most people had a very limited familiarity with the industry. Wilson opened his company – now a multi-state operation headquartered near Chicago – in 2004. To his surprise, it took longer than expected to get the business rolling. Wilson already had experience with insurance professionals, first working for an auto-replacement firm and later for an auto-glass company. After advancing through the ranks at those companies, however, he was intent on going into business for himself. Still intrigued by the insurance industry, Wilson considered property and casualty firms. Initially, he switched to the health sector because overhead costs were lower. In health insurance, an office staff managing claims wasn’t necessary. Wilson’s first impressions – that the nature of health insurance seemed arcane – are still relevant today, with the implementation of Obamacare, or the Affordable Care Act (ACA). “Clients need someone who is knowledgeable – not just about the products, but also about ACA law, which changes constantly,” he noted. Compared to the more narrow scope of the clientele he serviced before ACA, Wilson said, “Now, nearly everyone is a potential client.” Wilson also works with people who have Medicare coverage. Prior to ACA, carriers filed their health plans in each state where they issued policies. Some states had mandates, requiring areas of coverage, such as mental health or maternity benefits. services; and (10) pediatric services. “Choosing a plan is a little easier,” Wilson said. Clients view side-by-side comparisons of carriers on his company’s website. They can look at co-pays– how much, for example, one carrier requires, as compared to another. “In 2011,” Wilson said, “commissions were cut in half.” He had to reduce his costs and add new products to sell – all part of changing his business model. With underwriting then, “if you wrote 100 policies, maybe 90 percent qualified,” he said. “Of the remaining 10 percent, maybe 7 or 8 percent would qualify with a rate-up.” That is a policy surcharge to accommodate a potential client’s medical condition. “As ACA emerged in 2014, commissions were cut again,” he said. “Though premiums increased, it wasn’t enough to offset the reduction in commissions.” Yet, agents no longer had to consider how a carrier would view a potential client with a pre-existing condition – underwriting was gone. Wilson said that he wrote about 250 applications during the open-enrollment period last year. In the first eight months of 2014, he has written 200 applications. “And, the number of carriers has diminished,” he said, remarking that they’ve gone out of business, or more likely, have left the health-insurance market.